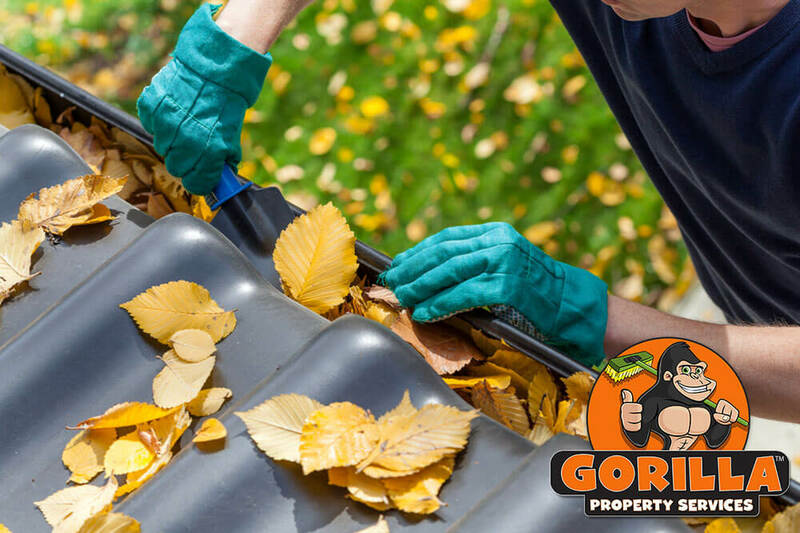 Barrie Gutter Cleaning | Gorilla Property Services | Call Us Now! Your home or business should work like a well-oiled machine with each piece contributing to a greater whole. However, when one of these pieces is broken or clogged, it can mean a complete shut down. ‘Eavestrough’ might be tough to spell but it is even tougher to keep clean. The difficulties with these fixtures are right there in the name: they are built like troughs. In an area with a lot of foliage and natural beauty, these ‘catch-all’ additions become blocked up and clogged. If you are struggling with clogged or blocked gutters, our Barrie gutter cleaning service can have you running full-steam ahead in no time. Instead of dealing with slow draining water and the issues that come with it, call our Gorillas for your Barrie eavestrough cleaning. Transportation makes the world go round and this isn’t only true of paved roads and air travel. A highway is designed to allow vehicles to travel toward their destination and the same is true of gutters. When gutters become clogged, the rain fall or snow melt has no where to go. So, it simply sits in your system. This “traffic jam” forces your eavestrough to fill up, and allows water to spill over the drainage system itself, causing leaks, water damage or even flooding. Having a clogged eavestrough creates a damp and comfortable environment for pests. As insects find a home along the upper levels of your property, your eavestrough becomes a breeding ground for bacteria. If you want to prevent leaks, or water damage, a well-running eavestrough is a big step toward a dry space. It might seem easy to simply climb up onto a roof and begin scooping out debris, but there is more to your Barrie gutter cleaning that just that. When you want the best possible results for your homes or business, the professionals know how to get it done. Instead of showing up and scooping gutters out with our paws, proper tools get the job done. Our Gorillas use high-powered vacuums to clean out any pipes and downspouts that they come across. If you are wondering what this might look like, we have got you covered with our ‘before and after’ photos. Even with your feet planted firmly on the ground, you can have a first hand idea about what your Barrie gutter cleaning looks like. 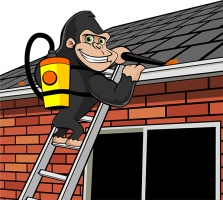 If you want to know more about our Barrie eavestrough cleaning services or are ready to give your system a bit of routine maintenance, call today to speak with one of our Gorillas.